Gorgeous design! Ilaria created a beautiful version of this Nature, Dandelion and Butterfly illustration by Vladimir Galantsev. Check out their work below. Next, Clayton’s take on this Wicked Witch of the West Illustration certainly shines. See how they took on this tutorial by Asher Benson. So beautiful! Great illustration! Hannah Mary used this Vector Texture Tutorial by Andrei Stefan to achieve a similar result with vases. Try it out for yourself! Very nice! Sultana Anajar created this epic African inspired Pattern inspired by a wonderful tutorial from Kaylan Michael. View it below! Fantastic design! Inspired by this Greeting Card Design by Miss ChatZ, Laura Spiteri created their own version based on the Jumeirah Mosque in Dubai. View it below! Go on a trip with Abhash Rai! They created this awesome Golden Camping Trailer Illustration by Aliaksei Kruhlenia. Great work! Collect some seashells with this colorful, Illustrator Seashell tutorial by Diana Toma. Here’s a result from a recent guest user—remember to include a name with your submissions so we can feature you! Superkript did an amazing job recreating this Summer Vacation Illustration by Nataliya Dolotko. Check out their work below! Arian went with bold rainbow colors for this Colorful Illustrator Portrait tutorial by Sharon Milne. See their inspiring work below! Great color choices! Lisa refreshed this lovely Promotion Vector Badge from instructor Andrei Marius. Which color would you try? What a stunner! Check out this incredible version of this Sparkling Diamonds Text Effect by user Nobby. They took a tutorial from instructor Rose and created a fabulous result! Amazing details! Susana González Gutierrez accomplished a truly surreal result with this Dark Photo Manipulation tutorial from Jenny Le. What do you think? Fred Kroner delivered a very cool vibe with this Sketch Effect Photoshop Action from Marko Kožokar. See how it was used on their own photo! Cool composition! 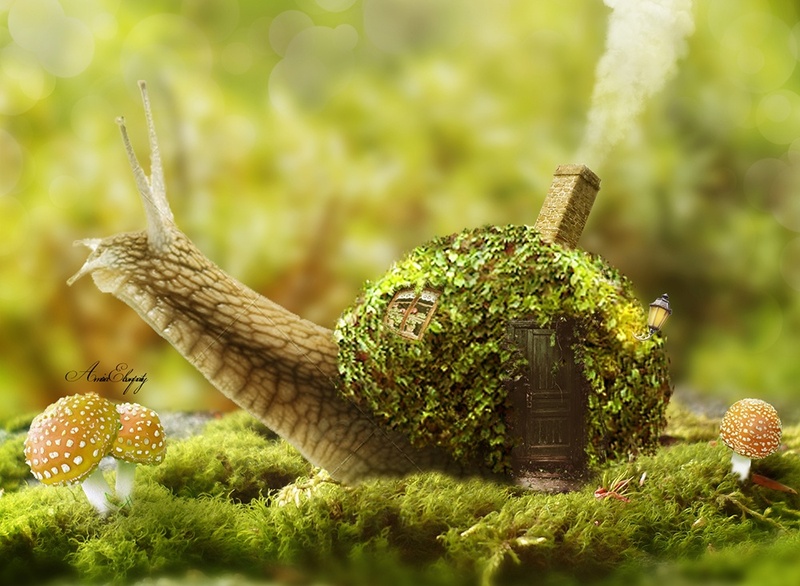 Amira Elsonbaty achieved a humorous design with this Fantasy Snail Manipulation by Jenny Le. Give it a try yourself some time! Cool colors! Charrie Escober created a lovely color combination inspired by this Lettering Blend Tool tutorial by Laura Keung. View it below! Add watercolor effects to your photos like Daniel Chen. By creating a Watercolor Photoshop Action with Marko Kožokar, they were able to achieve this phenomenal result! Bruno Oliveira had great success with this Cartoon Gradient Text Effect from Pavlo Manachyn. Check out their result below! How would you draw a rose? Saqib Safi showed us a soft, delicate sketch with this work, inspired by the incredible Rose Drawing tutorial from Monika Zagrobelna. Would you get a tattoo of one of your favorite tutorials? Check out this epic photo submission from Andrea. This Alice in Wonderland Illustration by Asher Benson came out fantastic! Always submitting cool designs, Jael knocked this next poster out the park! Check out their version of this Ice Cream Script Poster from Grace Fussell.